T-Mobile has struck up a new partnership with U.S. retailer Family Dollar in an attempt to make prepaid more accessible and affordable. Customers will be able to purchase new handsets from more than 6,000 Family Dollar stores in the U.S., all of which will feature monthly 4G plans with no annual contract. 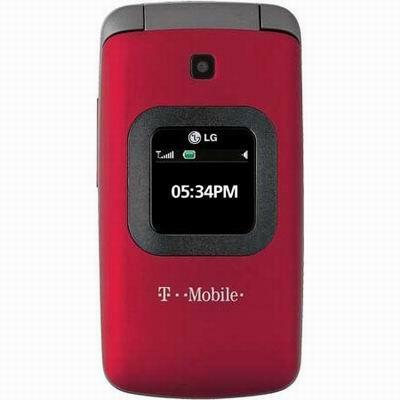 The initiative will begin with the LG GS170 — an entry-level flip phone that features a one-touch speakerphone, large visible keys, and a high-resolution color display. It also packs a VGA camera, MP3 ringtone capability, Bluetooth 2.1 and email support; all for just $30. Sure, it's no iPhone 4 or Samsung Galaxy S, but for $30 and no annual contract, what more could you ask for? "T-Mobile is excited to work with Family Dollar to offer an affordable prepaid device to its customers who seek value and convenience when shopping. T-Mobile is delivering great prices, simplicity and a nationwide 4G network with our prepaid products, which we know Family Dollar customers will find appealing." Customers who purchase the LG GS170 can take advantage of T-Mobile's monthly 4G plans, including the $50 per month plan that features unlimited talk, text and data, with no overage charges and the first 100MB of data at 4G speeds (where available). "We have had a great relationship with T-Mobile since 2003 and believe that this partnership has been a key factor in Family Dollar becoming one of the nation's largest national retailers of mobile airtime. T-Mobile's track record for providing quality service and customer support fits well with our culture and commitment to the customer, and we are very excited to take our partnership to the next level and begin selling the company's devices as well." Brightstar Corp. is also in on the deal and will handle all invoicing, shipping and supply functions for the partnership, as well as other operational and fulfillment needs. For customers who aren't interested in having the latest smartphones with lengthy 2-year contracts, but do want similar monthly options, T-Mobile's new partnership with Family Dollar looks like a great opportunity to bag a new phone with loads of calls, texts and data for just $50 a month.